Some men buy a Ferrari when they’re in the throes of a midlife crisis. Thana (Thaneth Warakulnukroh), the successful architect who’s at the center of writer-director Kirsten Tan’s wistful feature debut Pop Aye, buys an elephant. 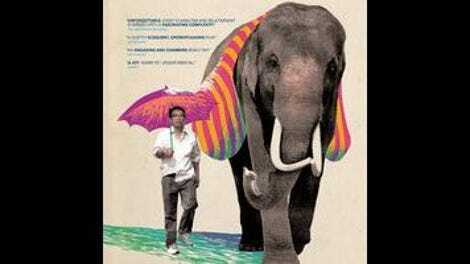 And although at first this appears to be an act of portentous quirkiness, it turns out that the elephant, Pop Aye—played by an elephant named Bong, one of three actors listed in the film’s credits—is the same one Thana grew up with on his uncle’s farm in the Thai countryside, and the duo’s long walk back to Thana’s hometown is not just a homecoming; it’s an act of penance. Dissatisfied and feeling as though life is leaving him behind, Thana longs for a simpler time, one less beholden to modern conveniences and consumerist luxuries. The film takes a similarly leisurely tack, ambling along at an unhurried pace for a road trip story that doubles as a travelogue of rural Thailand. Much of the film is split between this odd-couple pilgrimage and scenes of Thana’s life back in Bangkok, where his younger co-workers are squeezing him out of his own firm and his relationship with his wife, Bo (Penpak Sirikul), long ago soured into resentment. Tan contrasts Thana’s sleek modern home with the dusty side roads and ragged riverbanks of the countryside, with Pop Aye bridging the two worlds like a three-ton manifestation of all of his unfulfilled longings and regrets. It’s said that elephants have distinct personalities, and Bong’s is warm and charismatic, drawing attention so easily that you’d swear a spotlight was shining on him in certain scenes. Tan’s eye for detail also gives the film a certain emotional resonance, the mood set by little details like Thana’s embroidered handkerchief floating in a muddy river or hair dye running down Bo’s face after an upsetting phone call. But while the world-building and tone are both emotionally resonant and delicately constructed, and the cinematography bathed in lovely pinks and greens, the arc of the film follows a well-trod, conventional self-discovery narrative. While out on the road, Thana meets and interacts with people like sentimental drifter Dee (Chaiwat Khumdee) and lonely transgender woman Jenni (Yukontorn Sukkijja), all of whom have some sort of lesson to impart about appreciating the little things and living life to its fullest. When Thana and Pop Aye finally reach the home of Thana’s uncle Peak (Narong Pongpab), a place Thana has thoroughly mythologized in his decades away in the big city, the story takes an interesting turn, but in the end comes around to another greeting card sentiment. In that way, Pop Aye is a standard, if well-made, indie road trip dramedy. But, you know, with an elephant.